I love pants. They're probably my favorite article of clothing. I love to take risks with different types of pants, especially pants that not everyone would feel comfortable enough to wear. This blush pink pants aren't outrageous by any means, but what I love to do with any kind of not-normal pair of pants is pair them with a denim shirt. It's a great way to tone the pants down. The pony tale, white Keds and cross-body bag give the outfit a sensible look. My denim shirt is from Target. 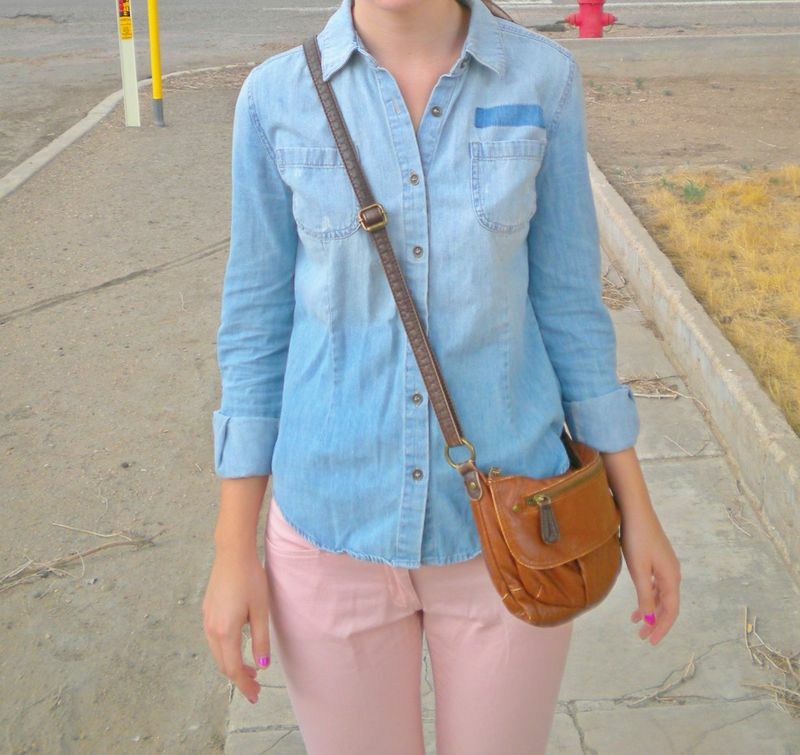 My blush pink pants are from New York and Company. My white sneakers are Keds. My cross-body bag is Bueno.